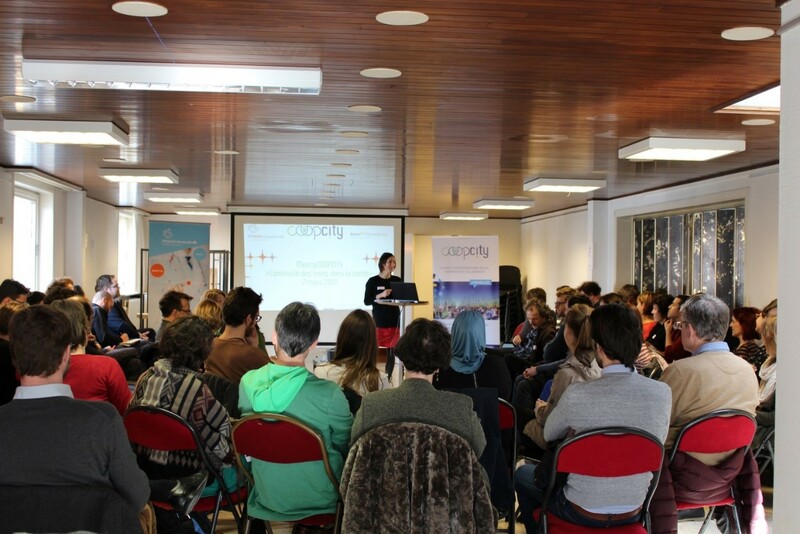 Believing that social innovation arises from cooperation, COOPCITY supports organisations in cooperating with others to design solutions for uncovered social needs in Brussels. COOPCITY is the Brussels Center for social entrepreneurship. Gathering 7 institutional, private, and associative partners, COOPCITY aims at supporting social enterprises to launch and develop their activities. Such enterprises can be characterized by an economic activity, a social purpose (rather than a profit one), and a participative governance. In March 2017, the first concrete collaboration between Lifetech.brussels and COOPCITY took place : about fifty Brussels enterprises and academics actors gathered to present and discuss their projects related to the “continuity of care” issue. Following this meeting, COOPCITY decided to center its new program, Pollinize, on the human services sector. Pollinize@COOPCITY is a free, 18 months program, dedicated to support cooperation projects between different kinds of organisations, in order to tackle uncovered social needs in the field of human services. Designed to support 3 to 5 multi-actors projects, Pollinize starts with a 4 month acceleration phase (6 training days between October & January), and goes on, for ready-to-start projects, with a one-year personalized support (mixing on-demand coaching and training). Pollinize is implemented in strong collaboration with Lifetech.brussels. The Call for proposal is open until the 13th of September. Information sessions in June, July & August. Details, dates, and application form here.